This Kia Niro Plug-In Hybrid delivers a Gas/Electric I-4 1.6 L/96 engine powering this Automatic transmission. Wheels: 16" Alloy w/Cover, Variable Intermittent Wipers, UVO eco Tracker System. 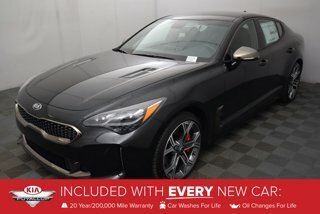 *This Kia Niro Plug-In Hybrid Comes Equipped with These Options *Trip computer, Transmission: 6-Speed Dual-Clutch -inc: sport mode, Traction Battery w/9 Hrs Charge Time @ 110/120V and 2.75 Hrs Charge Time @ 220/240V, Tires: P205/60R16 Michelin, Tire Specific Low Tire Pressure Warning, Tailgate/Rear Door Lock Included w/Power Door Locks, Strut Front Suspension w/Coil Springs, Spare Tire Mobility Kit, Siriusxm Traffic Real-Time Traffic Display, Single Stainless Steel Exhaust. * Stop By Today *A short visit to Kia of Puyallup located at 111 Valley Ave NE, Puyallup, WA 98372 can get you a trustworthy Niro Plug-In Hybrid today!